The Department of Homeland Security's science and technology directorate has incorporated over 9,700 software test cases into its marketplace platform to help developers assess their software based on real-world scenarios, DHS said Thursday. The directorate finished integrating the test cases, known as BugInjector cases, from its Static Tools Analysis Modernization Project into the Software Assurance Marketplace as part of the objectives outlined in the DHS Cybersecurity Strategy and 2016 Federal Cybersecurity Research and Development Strategic Plan. 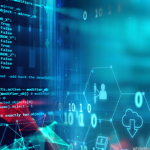 STAMP aims to rapidly provide static analysis tools for use in software development, while SWAP seeks to help software assurance experts and developers address vulnerabilities through capabilities such as realistic test cases. Both SWAMP and STAMP are research initiatives under S&T's Software Assurance Program. Users can avail of the BugInjector cases through the SWAMP website or GrammaTech, a software development tool provider based in New York and funded by S&T.